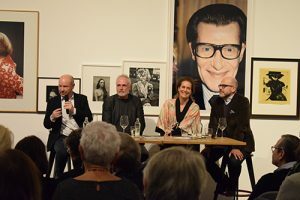 Talk with Annette Kicken (Galerie Kicken Berlin), Dr Thomas Köhler (Berlinische Galerie), Freddy Langer (FAZ) und Thomas Olbricht. On this occasion the exhibitions will be open until 7 p.m. Simultaneously we will launch the catalogue “The Olbricht Collection. Photographs”, published through Buchhandlung Walther König, accompanying the exhibition “The Moment is Eternity – Works from the Olbricht Collection”. 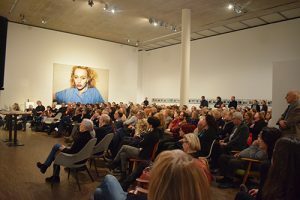 Thursday, 31.01.2019, at 7 p.m.
Photographs will be taken during the talk.